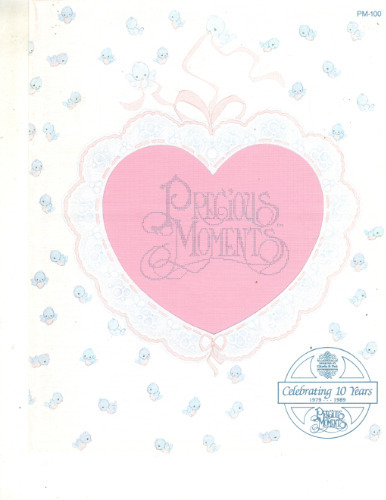 Designs by Gloria & Pat Precious Moments Celebrating 10 Years 1979-1989 Cross Stitch Pattern leaflet. Stitch count 122 x 112. Because You Count. Appears new.